Gaithersburg, MD (Vocus /PRWEB ) June 11, 2009 -- Raxco Software, the pioneer in disk defragmentation for virtual environments, today announced that Eleutian®, a rapidly growing e-learning company focused on teaching English in Asia, has purchased PerfectDisk® Professional and PerfectDisk VMware for its development workstations and laptops. Eleutian provides internet-based English-learning solutions to government, businesses, universities, k-12 schools, private institutions and internet consumers, with over 20,000 students supported. "Fast performance is critical for our developers so we can improve build times," said Aaron Jensen, vice president of engineering at Eleutian. "Our software developers run SQL Server, Visual Studio, IIS, Photoshop and Microsoft Office on VMware Workstation and VMware Server. PerfectDisk has helped reduce hard drive access times to a minimum with these applications. In addition, we're now better able to recapture wasted space with PerfectDisk VMware." "We're extremely happy to welcome Eleutian, which serves such a broad range of users, to the PerfectDisk family," said Joe Abusamra, vice president of operations at Raxco Software. "Our pioneering work with Virtual Aware defragmentation and our close ties to VMware and Microsoft have helped us gain the leadership position in virtualization defrag, and companies like Eleutian are benefitting." About Eleutian Technology: Eleutian Technology is a premier, global provider of language teaching which pairs an evidence-based curriculum and one-on-one conversation lessons with certified American school teachers. A respected pioneer in the rapidly growing e-learning industry, Eleutian's customers include some of the world's largest global companies as well as universities throughout Asia and Europe. The company also serves elementary and secondary schools worldwide. Headquartered in Ten Sleep, Wyoming and with offices in Korea and soon to be Japan, Eleutian serves a global client base. Visit www.eleutian.com for more information. About Raxco Software: Raxco Software has been the industry leader in helping large enterprises, small businesses, and consumers with their computer resource management needs for over 30 years. 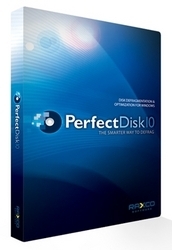 Its PerfectDisk 10 is certified by Microsoft® for Vista, Windows Server® 2008 and Hyper-V. PerfectDisk products have a long history of winning the industry's highest awards, most notably its perfect 5-star review from CNET Download, winner of the Windows IT Pro Readers' Choice Awards for Defragmentation Utility and Storage Management Tools, Redmond Magazine's Best of the Best Award, and PC Magazine's Editors' Choice Award. Raxco also produces optimization software, for HP's OpenVMS operating system. Raxco Software can be found on the Web at www.perfectdisk.com . Sherry Murray- Raxco Software, Inc.